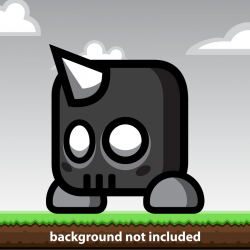 FREE GAME ASSET: Little Shadow Monster. If you like my design, please mark this item as favorite. You are welcome, I wish the best for your games :) good luck.